If you are hiding your smile, suffering with pain, or putting off going to the dentist because you are afraid or too busy, conscious sedation dentistry will change your life! Imagine having years of needed dental care done in just 1 or 2 appointments while you rest comfortably through your visit. With sedation dentistry, patients are able to have a comfortable, anxiety-free experience while having their dental work performed. 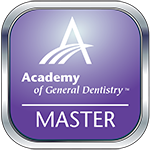 It’s not only for people who have anxiety before their dental appointments, but also those who need extensive treatment completed in a limited amount of time and number of appointments, or just want to be completely relaxed during their procedures. You’re in a relaxed state before, during, and after your entire treatment and will have little to no memory of the procedure once completed. 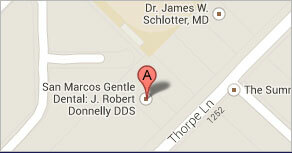 Dr. Donnelly has been helping his patients have anxiety free dental experiences for years. When you get to the dental office for your procedure, you’ll be given a combination of sedative drugs and nitrous oxide, which will put your body in an extremely relaxed state of reduced perception. A local anesthetic will then be administered to eliminate pain. You won’t feel pain or even remember the numbing when the procedure is complete, due to the sedative. We’ll be monitoring your vital signs during the entire procedure and help to keep you comfortable and relaxed. While you may fall asleep during the procedure, you’re not completely put under as with general anesthesia, but remain in a responsive state and all body functions stay normal. You may be very drowsy after the treatment because of the sedative, therefore it’s necessary to have someone drive you to and from the office on the day of your treatment, and supervise you afterwards. Oral hygiene and dental care are essential to your body’s health. Dr. Donnelly wants to ensure that you get the treatment you need-without the anxiety you may normally feel during a visit. If sedation dentistry sounds like something you’re interested in, please call Dr. Donnelly’s office at (512) 396-5225 to see for yourself how comfortable dentistry can be.